AI Labs is a newly created AI Center of Excellence for Expedia Group (EG). We build scalable, high performance AI platforms and deliver high impact AI solutions. 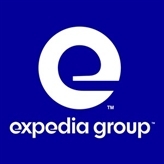 We work closely together with our brands/business units across Expedia Group. We work in start-up fashion, with flat organization structure and refreshing culture. We value integrity, creativity, dedication, and positive energy within AI Labs and across teams. We favor the best ideas/working solutions regardless of your ranking/seniority. We have created an industry unique environment for you to learn, grow, and extend your full potential in fast pace. Together, we bring AI fueled business value to our company, to our travelers, and partners. We believe in Data Intelligence and AI innovation. AI Labs is seeking a highly driven, talented, and experienced Sr. Software Dev Engineer – AI, to join us building the AI/ML Platform and optimizing AI/ML smart travel solutions. Are you passionate about the technology needed to drive a multi-billion dollar business? Do you love building creative, highly-scalable and expansible AI platforms and solutions? Is revolutionizing the travel experience using AI/ML challenging and attractive to you? As a Sr. Software Dev Engineer in AI Labs, you will be responsible for translating business and functional requirements into concrete deliverables with design, development, testing, and deployment of highly scalable cloud-based engines. You will work with product management, data scientists, and engineers to design and build end-to-end AI/ML platforms, and optimize AI/ML models from prototyping to production. Prior knowledge of AI/ML, and NLU is a preferred. You are capable of building and owning full-stack online and offline data pipelines for multiple projects from multiple data sources using cloud systems, and structured/unstructured data. In addition to data ingestion, storage, processing and serving, you have strong business intuition and can translate business guidelines into data solutions. You will partner with various teams, such as data science, engineering, finance, product, operation, and other functional teams to deliver data intelligent solutions to complex business problems. Your ability to demonstrate basic knowledge in AI/ML, your past experience of building large scale AI/ML platforms is highly desirable. You play a key role in design and development of our state-of-art AI platform – best in class of security, performance, scalability, and cost efficiency. You are knowledgeable and skillful to provide data pipelining solutions for AI projects that are across multiple organizations, even with ambiguous data definitions and different levels of data qualities. You can quickly understand the business needs and convert complex business requirements to data engineering solutions with robust, modular software systems. You take the ownership of system/component design, software development, and maintenance of data pipelines under both product and non-product environments. You are proficient hands-on subject-matter-expert to the team and lead data modeling/pipelining efforts for any new initiatives. You have 7+ years' professional software development experience with solid design and coding skills. You have 3+ years of experience applying, implementing, and/or developing AI/ML algorithms. You have working experience with large-scale data processing and analysis systems, such as Hadoop, Spark, Hive, Kafka, Flink, etc. You have experience with Cloud Computing Platforms (AWS, Azure, Google Cloud) and cloud-native technologies such as Kubernetes. You have hands-on experience in designing and productizing large-scale backend systems involving data pipelines, distributed services, and performance analysis. You are proficient in Java, C++, Python, and Scala. You have a MS, Ph.D., or BS degree in Computer Science or related quantitative field. Prior knowledge and experience in building AI/ML platform is highly desirable.